HONOLULU – The Hawaii State Department of Health (DOH) today launched a new radio public service announcement (PSA) that focuses on an overlooked area of motor vehicle injuries – unbuckled back seat passengers. The original locally-produced radio spot is the first of its kind in the nation that emphasizes the importance of protecting backseat passengers from serious lifelong injuries. The message airs statewide from Feb. 29 through the end of April and will be translated into 4 languages. Click Seat Belt to Listen. According to the National Highway Traffic Safety Administration, in 2013 there were 883 unbelted rear seat passenger vehicle occupants age eight and older who died in traffic crashes in the U.S. More than 400 of these occupants would have survived if they had worn their seat belts. A 2015 Hawaii Department of Transportation (DOT) study concluded that although Hawaii has one of the highest overall seatbelt rates in the nation at 93 percent, only 73 percent of back seat passengers were observed wearing their seat belts. In addition, seat belt usage in Hawaii drops significantly during the evening hours to a statewide average of just 62 percent. Unbelted back seat passengers in Hawaii are also more likely to require hospitalization after a traffic accident with hospital charges that may be as much as 60 percent higher, than those that use seat belts. Airing of the new radio PSA precedes and complements Hawaii’s Click It or Ticket enforcement campaign and national efforts, which traditionally begin at the end of May. DOH’s Emergency Medical Services (EMS) System and Injury Prevention Branch worked in collaboration with DOT and the Strategic Highway Safety Plan Occupant Protection Emphasis Area. As of May 2013, Hawaii’s seat belt law requires that drivers and all front and back seat passengers wear a seat belt. Even though the law has been in place for over two years, DOT observational studies show that nearly 1 in 3 back seat passengers still do not wear a seat belt. Focus group studies conducted by DOH identified that not all Hawaii residents are aware of the new restrictions. The studies also supported a message focusing on the driver’s responsibility for ensuring the safety of their family and friends while riding in the vehicle. Under the new seat belt law, a driver who is pulled over could face a fine of up to $112 per unbuckled passenger. According to DOT seat belt studies, from 2013-2015, the percentage of back seat vehicle passengers who did not use seat belts by county was 12 percent in Honolulu, 32 percent in Kauai, 44 percent in Hawaii, and 36 percent in Maui. The Governors Highway Safety Association recently released Unbuckled in Back: An Overlooked Issue in Occupant Protection, which draws attention to seat belt use among back seat passengers as the easiest way to prevent motor vehicle occupant injuries. The new “Every Seat Every Time” radio message can be heard on a variety of radio outlets throughout the state. 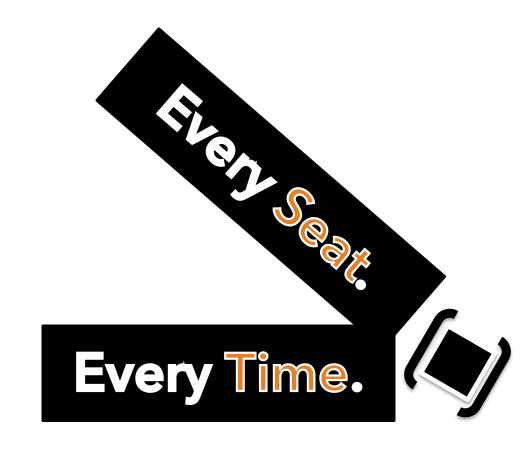 To listen to the radio PSA, go to “every seat every time”,which is located on the EMS & Injury Prevention System Branch webpage. The Department of Health’s Injury Prevention and Control Section of the EMS & Injury Prevention System Branch collaborates with partners across the state to address the leading causes of injury while focusing on the areas of: drowning prevention, fall prevention, poisoning prevention, suicide prevention, traffic safety, and violence and abuse prevention. For more data and information visit wwww.health.hawaii.gov.